Successfully Added IQI I2 Android 5.1 Smart Watch - Quad Core CPU, Wi-Fi, Bluetooth 4.0, Play Store, Pedometer, Heart Rate Monitor, GPS (Black) to your Shopping Cart. 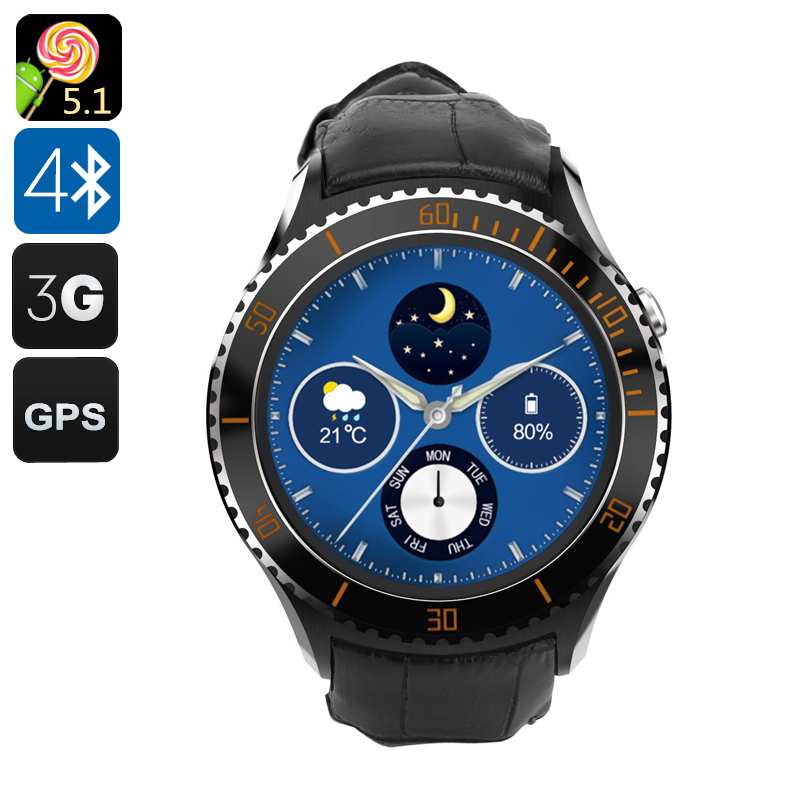 This stylish circular time price is much more than just a classic looking watch, the I2 smart phone wrist watch takes all the features you need in a phone and puts them conveniently on your wrist. The IQI 12 is an intelligent wrist watch combining the power of an Android 5.1 operating system with a MTK chipset to bring Smartphone functionality to a wristwatch. With a 1.33 inch display you can easily navigate between the multitude of functions and with an Android OS you have access to the play store for a wealth of extra add-ons. A nano SIM card slot on this watch phone offers 2G and 3G network coverage allowing you to take calls and access cellular data networks so you can leave the phone behind and still keep updated on the go. A great partner on your workout this smart watch has a heart rate monitor as well as pedometer so can take count of every step and keep you apprised of your pulse while working out. When paired with your Android or iOS Smartphone you can get notifications from Facebook and Twitter as well as use the watch to answer and make calls. What's more you will be able to stream music, get weather updates and check your calendar so there is no need to get your phone out ever again. Protected from the worst of the weather this smart watch has an IP54 rating so you needed worry about it getting a little wet. A built in 450mAh battery has enough juice to keep you powered through the day and at just over 100 grams this compact powerful watch phone wont weigh you down. The IQI I2 Android Smart Watch comes with a 12 months warranty, brought to you by the leader in electronic devices as well as wholesale Android Smart watches..